Don’t forget to set your DVRs, WRC coverage in the U.S. continues this week on Discovery HD Theater. Rally Mexico coverage begins on Thursday with a preview and a recap of Day 1. Coverage wraps up on Friday night with recaps of Days 2 and 3. See the full schedule for times in your area. Just about everyone on the planet has watched Ken Block’s Gymkhana videos. 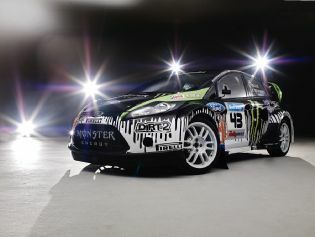 Well, Ken Block will be making his WRC debut with the Monster World Rally Team this weekend at Rally Mexico. 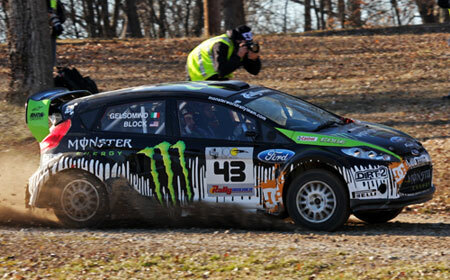 Block will be driving a Ford Focus RS sponsored by Monster Energy Drink this year in his WRC appearances. Keep an eye on how he does on the WRC site, current results are located here. GotCone.com has gotten a makeover of sorts with a brand new site design for 2010. The gallery has been redone so that less scrolling will be necessary to see the photos, which hopefully will help the overall experience on the website. If you run into any issues please let me know by posting a comment below. I tried to test the site in a wide variety of web browsers, but there are some many varieties it is hard to get all of them. Please let me know what you think of the new site design! 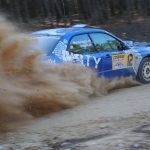 Discovery HD Theater is continuing it’s coverage of WRC again this year. Last year they played coverage of the complete season’s events in sequence beginning near the end of the season. It appears this year they are going to have coverage much closer to when the events occur. Coverage of Rally Sweden will be televised on Thursday at 9 PM (central). Sounds like there was some exciting rally action in the snow a couple weeks ago in Sweden, so should be a fun watch. Ken Block will be joining the World Rally Championship at WRC’s next event, Rally Mexico. He will be driving a Monster Energy Drink Ford Focus RS for the rest of the season. 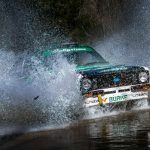 Here’s a pre-season interview from the WRC site. 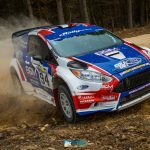 Ken will also be completing the Rally America season including this weekends 100 Acre Woods event in Salem, MO. Switch supermarkets. Eat cardboard. Do whatever it takes to find a few extra quid a month. Because Prodrive has just launched this Impreza Group N rally car and for the first time ever, you can have it on a monthly lease plan. Then, after two years when you’re the new Seb Loeb, it will be yours (after one final and probably rather fat payment). Or if you’ve got a spare £120,000, you can buy it upfront. Prodrive reckons it’s almost as quick as next year’s WRC cars (when the championship switches to less ballistic regs), while costing half as much. The key, we’re told, is the air restrictor – its diameter has increased by, erm, a whole millimetre. With the new set of lungs, some high-flow fuel injectors and a tickled ECU, you get 20bhp more than the old car. It also gets new dampers with more travel. And if you go for the lease-plan option, Prodrive will throw in free insurance, which is useful when you hit trees and goats and stuff. Welcome to the all new GotCone.com blog, which will hopefully provide some tips and discussion of ways to make you and your car better. And we all want that don’t we? 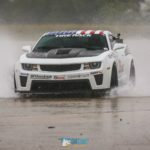 I am hoping the blog will become a great resource for all things autocross, rallycross and racing in general. If you don’t know yet who I am, my name is David and I am the one who has taken the majority of the photos you can find in the photo gallery. 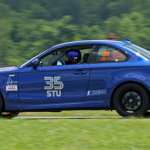 I also drove a 2008 BMW 135i in STU last year and will be doing so again this year. Also contributing to the blog (so far) will be Christy Carlson (wrxgrl), Mark Jorgensen (mjorgensen) and Jon Simmons (tarsust). Mark is currently the Performance Auto Manager at Woodhouse Auto Family. Mark competes in SCCA Solo, where he currently drives a Dodge Viper and has finished as high as 2nd at SCCA Solo Nationals (in ESP). 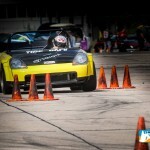 Jon has been participating in autocross since 2000 and has driven a wide variety of vehicles. Jon has trophied twice at Solo Nationals, 12th in STX (2009 Solo Nationals E30 BMW M3) and 12th in STS (Subaru 2.5 RS). 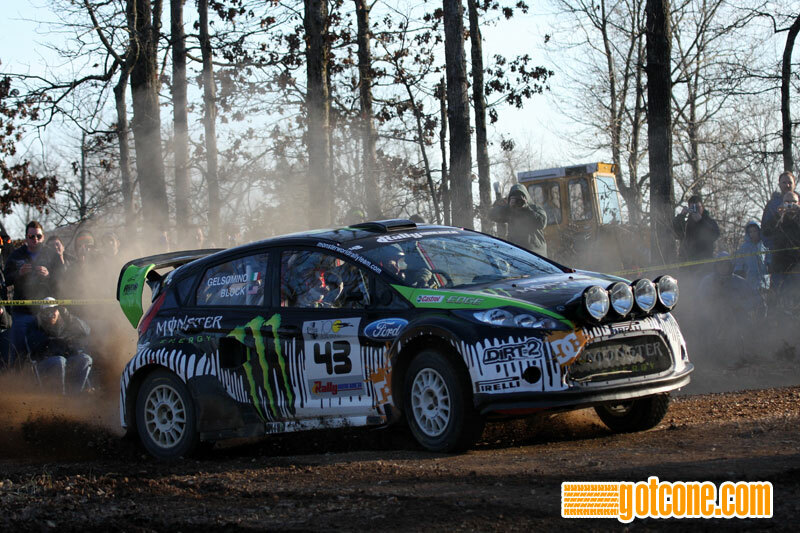 He has also competed in rallycross on a somewhat regular basis. He is very knowledgeable when it comes to car set up and has recently started his own business (Tarsust). Christy drives a 2006 Subaru STi in STU(L). She placed 3rd at 2009 SCCA Solo Nationals and 2nd at the 2006 SCCA Rallycross Nationals and has been participating in autocross and rallycross since 2005. Hopefully some of you will find the information that will be provided in this blog useful. If you have a topic you would like addressed please feel free to let us know. If you would like to contribute to the blog please let me know, as I would like to add a few more people to the blog.